Bhimtal, a nagar panchayat and a town in ditrcit of Nainital is situated at an altitude of roughly 4700 feet above the sea level. Bhimtal is only 22 kms from Nainital, 4 kms from Naukuchiatal and 11 kms from Bhowali. 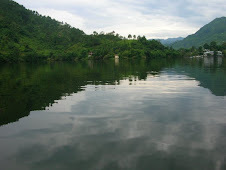 The main attraction of Bhimtal is the mighty Bhimtal Lake and its "island centre". Bhimtal lake is the largest lake (larger that Naini Lake) in the lake district of Nainital. History: Bhimtal is named after "Bhima", one of the 5 "Panadava" brothers who fought the "Kauravas" in Hindu epic, Mahabharata. It is said that the Pandavas visited this beautiful region during their banishment and Bhima was inspired to build and dedictate a temple to Lord Shiva. It was at this place that they built the "Bhimeshwar Mahadev" temple. The present temple was built in 17th century by the Chand Dynasty. The temple is located along the 40 feet high dam in Bhimtal. Bhimtal is older than nearby Nainital and has been a stop over for travellers of Kuman region for a very long time. Bhimtal is also a stop over for travellers going to Nepal or Tibet and it is believed that it might be a part of the famous "Silk Route". Rock Festival Coming up again in Naukuchiatal. We will announce the dates very soon. Stay tuned. 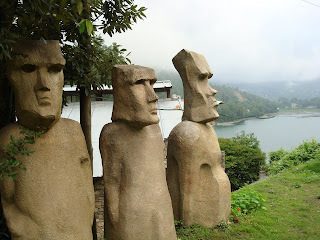 Guest Writer - Rajeev "Ek-Ton"
Welcome to The Lake Resort, Naukuchiatal. The Lake Resort, Naukuchiatal (Also spelt,“Naukuchiyatal”) is a paradise in the Central Himalayan region of Kumaon in Uttarakhand. The resort occupies over 70 acres of space and is situated at about 4400 feet above the sea level. Lake Resort a heaven for Birders, is an asylum for more than 130 bird species including some migratory birds. There are some quiet spots which provide ample opportunities for some of our keen anglers. The Lake Resort is full of Flora & Fauna and a paradise to experience nature in full bloom. Naukuchiatal buff is an avid traveller and a consultant to resorts and hotels Around Delhi. If you wish to contact him, please send a mail by clicking the envelope.